This X-Men photo might contain 紧身衣, 弹力紧身衣, 紧身衣裤, 西装的猫, 连体裤, 猫衣, 莱奥塔尔, 身体套装, 猫套装, hip boot, and thigh boot. Lol. I used to dislike the goth Rogue. 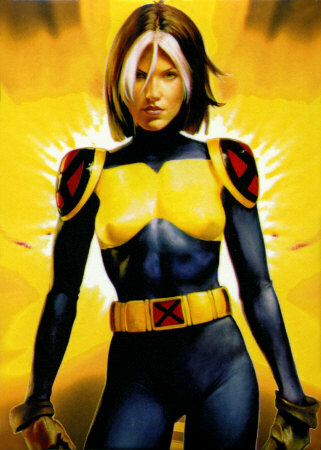 But I like that version of rogue now. You didn't like the goth Rogue apparently?